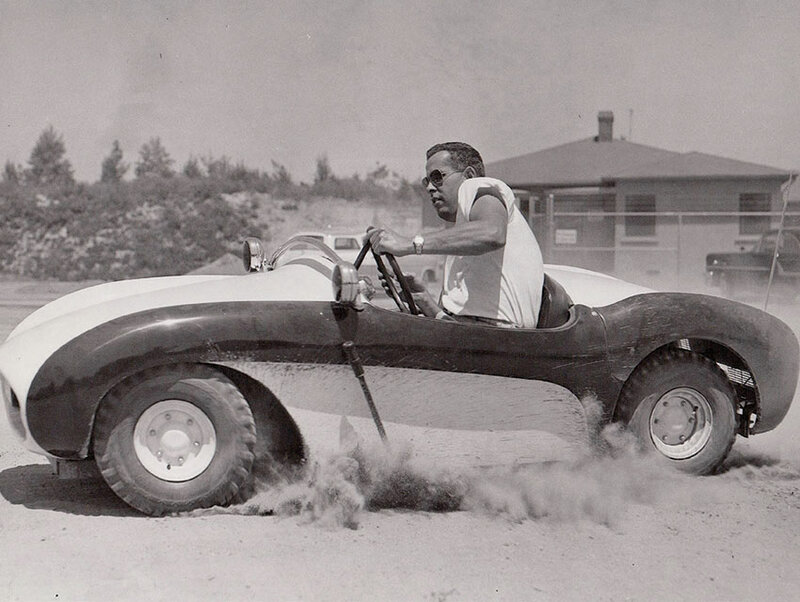 Walt Disney hired Bob Gurr in 1954 to design sports car bodies for the Autopia cars at Disneyland. Gurr went on to design most of the conveyances at the park including the Monorail, Matterhorn Bobsleds, and the Haunted Mansion Doom Buggies. 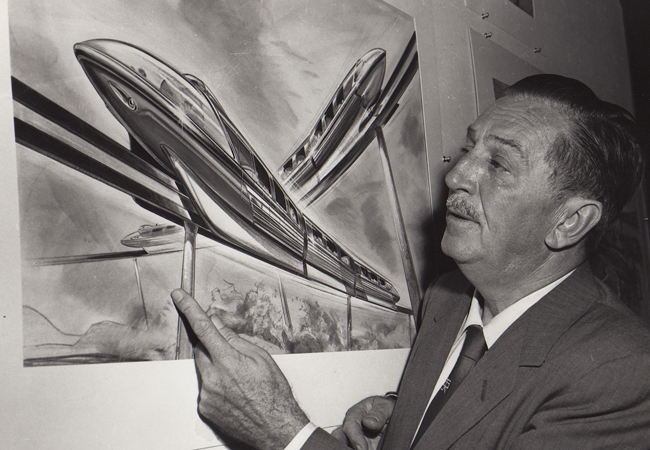 After Disney he ran his own design firm creating attractions at Universal Studios, foreign parks, and in Las Vegas. A new documentary film, Bob Gurr: Dreams to Reality, about the Disney legend will be released this week. We reached Bob in Seattle where he was speaking at a Disney convention. What is this new film about? People seem to know what I did but they always ask how I did it. This is about how Imagineers did their work working with Walt Disney. 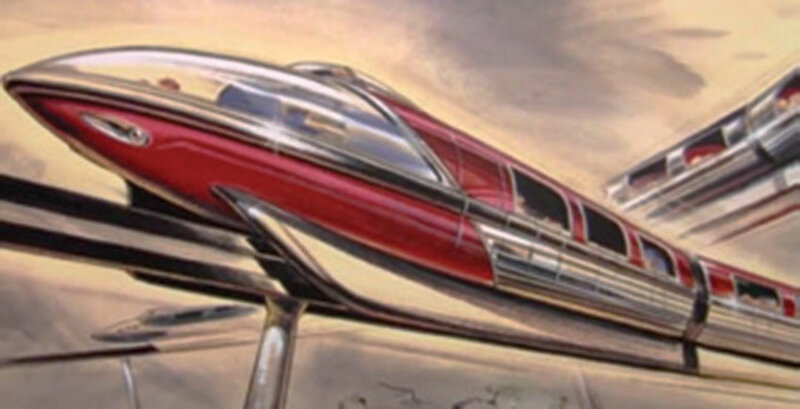 I use the monorail as an example. Usually one person does the external design and then an engineer takes over, then manufacturing takes over. Well, that’s not the way I work. I do the styling and the engineering. The advantage there is that we don’t have to have any meetings because they all occur in my head. What’s it like being the subject of a documentary film? Uncomfortable. The filmmakers wanted to explain to the Disney fans the fact that I do things completely different than most people would. I didn’t have a formal education or an engineering license. I didn’t want to be on film but she wouldn’t give up. I told her to get witnesses to tell you what makes Bob tick. Who else is in the movie? She asked 8 people that had worked with me over the years, starting with (former Imagineering president) Marty Sklar, and Craig Russell, who was head of Imagineering for the last15 years. Garner Holt, who is the largest manufacturer of animated figures for theme parks. Rolly Crump‘s son Chris Crump who has been at Disney a long time. How did growing up in the San Fernando Valley influence your childhood? Some of the streets were dirt with no sidewalks. There were lots of orchards and agricultural fields and I got to see my favorite military airplanes flying all the time. During World War II Lockheed was building the P38 and Boeing built the B17 Flying Fortress in Burbank. I could ride my bicycle over there and see all the planes I loved to look at. Do you go to Disneyland in the movie? 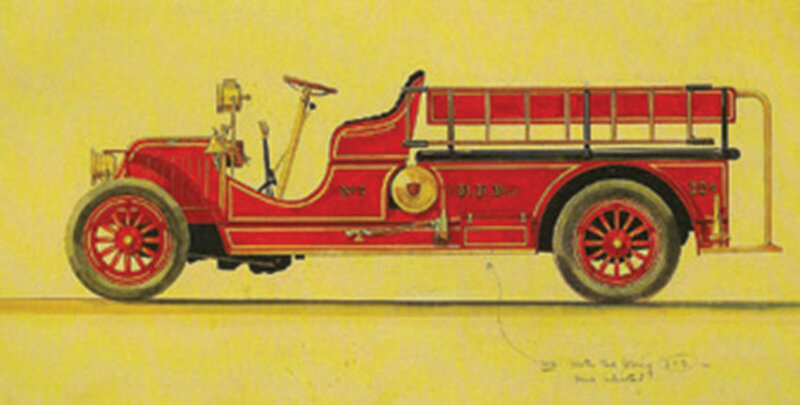 There’s a cute little shot of Main Street vehicles moving and you hear my voice and I walk into the scene and say, “Here we are at Disneyland.” We used the antique yellow car, the fire engine, and the Omnibus, all my design. What treasures did you dig out of your collection for the movie? There’s a copious amount of images including Disneyland construction. I have a scale model of the King Kong I did for Universal Studios. It was a 30-foot animated creature and I use the model to demonstrate how simple it is and how the motions all work. As I’m talking about it, it’s being animated before your very eyes. How did you feel when King Kong burned down? I was delighted because it lasted 22 years. It’s much better for a famous effigy to go out in a blaze of glory than to get old and have it dismantled. What if James Dean had lasted forever? Who would want to go see an 85-year-old James Dean in a movie today? When is the last time your rode on one of your vehicles? That would have been last July 17th for the 60th anniversary of Disneyland. They gave me a ride in the electric vehicle I designed for Walt. I was in the parade again just like I was for the opening in 1955. What’s your favorite memory of Walt Disney? He’s not a guy who would give orders to people as to what he wants you to do. He’d sort of walk up and say “Gee, Bob we’re thinking of doing this project. What do you think?” He’d ask you to start thinking about it rather than tell you like a presidential order. He would get people interested. Get their creative juices going and get your best ideas. That’s a completely different way than most executives manage a company but that’s the way Walt did it. Where can people see your movie? It will premiere on Thursday at the Disneyana convention in Garden Grove. If they miss that the DVD can be purchased online. We’re showing a short version of the film and then there will be a panel discussion with several people from the film.